If you’ve typed ‘Cosmetic Surgery Sydney’ into Google, then you’re actively seeking a Sydney cosmetic surgeon you can trust. Cosmetic Surgery Sydney is a highly qualified cosmetic and plastic surgery committed to putting the needs of his patients first. Cosmetic Surgery Sydney has been performing plastic and cosmetic surgery since 1978 (both internationally and in Australia) and operates at several private hospitals and day surgery facilities on Sydney’s Northern Beaches and on the NSW South Coast. 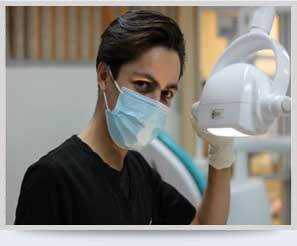 In addition he performs plastic surgery in the public hospitals of the Manly Warringah and Shoalhaven areas. Cosmetic and Plastic surgery serve two distinct and very different functions. Knowing the difference between both forms of surgery is the first step in a patient’s quest to find the surgeon best qualified to meet their individual needs and requirements. Plastic surgery is reconstructive surgery to correct and repair defects and deformities following trauma, skin cancer, accidents, excision, burns and scars. Plastic surgery is directed and indicated by the surgeon. Plastic surgery and cosmetic surgery are closely interwoven in technique and skills. The aim of cosmetic surgery is to naturally enhance and improve the patient’s appearance. The best cosmetic surgery should be undetectable by others and should provide an increased sense of well being and confidence in the patient. Cosmetic surgery is unlike other surgery in that it is requested by the patient, and is thus a matter of personal choice. Before contemplating surgery, it is vitally important to understand the difference between a Cosmetic Surgeon and a Plastic Surgeon. In Australia any doctor can call themselves a cosmetic surgeon. No formal surgical training is required. At present there is no legislation to prohibit this practice. The Royal Australian College of Surgeons (R.A.C.S) is the only accredited and legislated professional body in Australia that trains surgeons to a set standard. This is the recognized benchmark for surgical training. The Royal Australian College of Surgeons officially recognises 10 years of post-graduate dedicated surgical training and allows the letters F.R.A.C.S to be used in recognition of this achievement. These letters are your safeguard when choosing a qualified surgeon in Australia.